Large roof terrace with hammocks and chairs. Rooftop restaurant serves Moroccan specialties and Spanish delights. Just five minutes from Jemaa el Fna square. “Why do people love staying in your hotel? Because they feel at home! Our pre-stay recommendations, our ideal location and our kind staff! What is there to do in the area? Plenty of things! Discovering the Souks and the muslim culture, the new area with the Majorelle Gardens and the brand new Yves Saint Laurent Museum, great restaurants, great excursions within less than 2 hours from Marrakech, nice Hammams, nice country houses where to spend a splendid day and a desert experience in the Marrakchi désert. What kind of breakfast do you offer? Traditional breakfast with moroccan breads, home made cakes, moroccan crepes, nice marmalades, cheese and turkey, fresh fruits, fresh orange juice, coffee, mint tea and our special Abracadabra eggs! Do you offer other meals? And can you recommend good places to eat out locally? We do offer lunch, dinner and express menus. Our cook Saaida is amazing in Moroccan and international cuisine and the set up in our roof terrace is unbeatable! 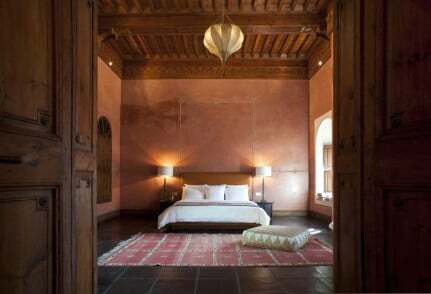 Before the client arrives to Marrakech, we use to recommend a long list of nice restaurants in the area. - Junior Suites are perfect for couples. There are 3 different Junior Suites with very nice decoration. - Double rooms are our smaller rooms but with big and nice bathroom, they are perfect for people wanting to sleep in twin beds. What facilities do you have for children and can you fit extra beds in your rooms? 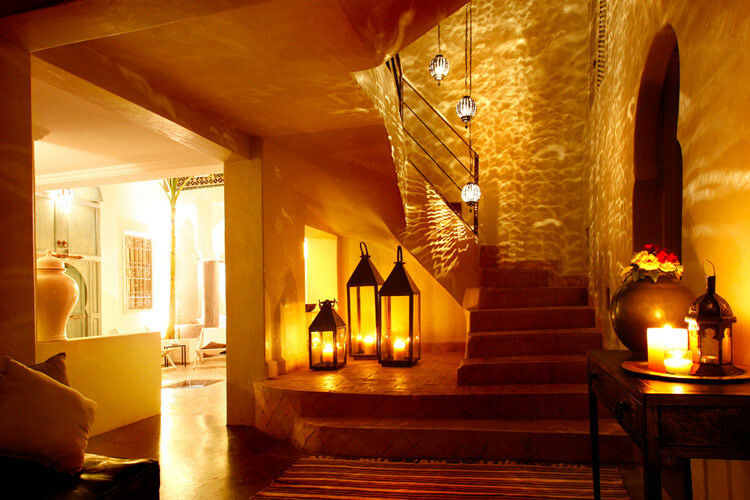 The Riad is not suitable for children under 12 as there are plenty of stairs and ambience has to be quiet in the Riad. We can fit extra beds in Deluxe Suite Merlin and Madame Mim. These two rooms are very popular for families. The Atlas mountains are not too far away.